The Customer is providing Paint product to Vietnam market. This Mobile app will extract more people to know their products, so that the Customer can boost the sales. 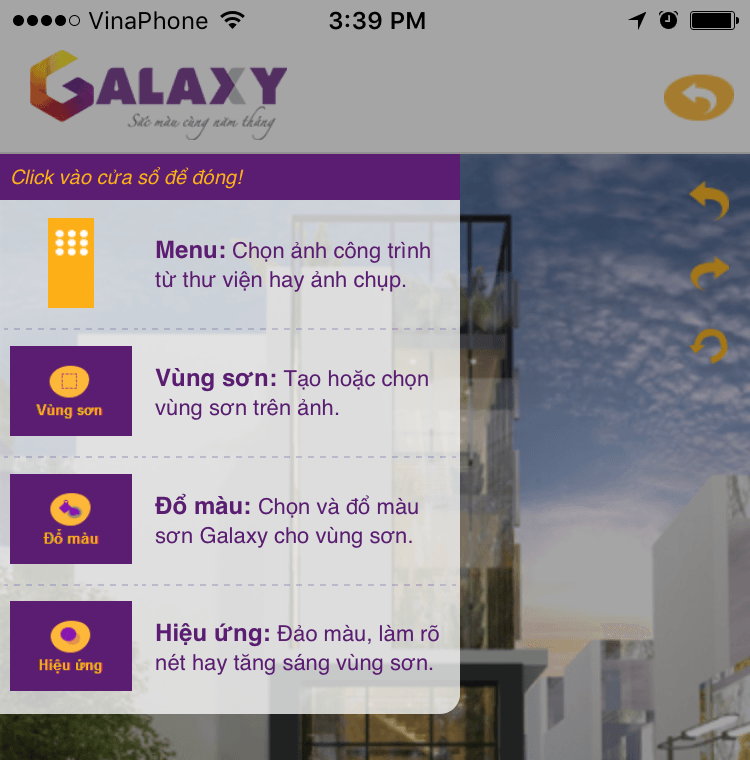 Users can select a housing photo from Galaxy gallery, or take a photo from Mobile phone to start with. The user can select different Image processing effects to better visualize the house.